Delight your ears with Chewbacca Sings! the best audiovisual Christmas experience. Pump up the volume and soak up the festive spirit with Chewbacca Sings! 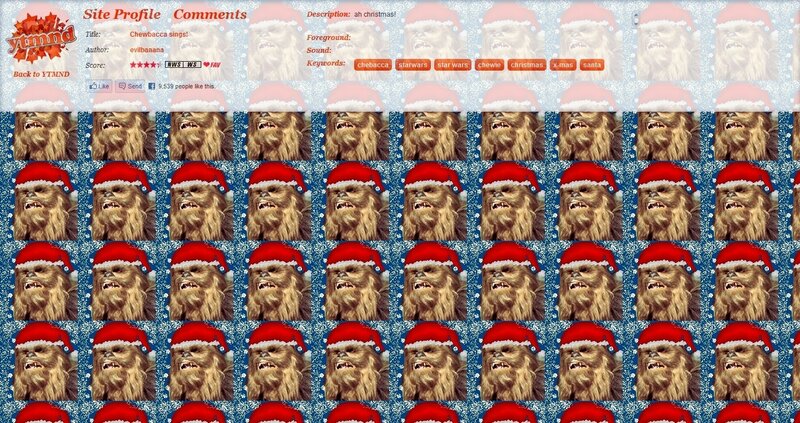 Wookies take the matter of Christmas very seriously, and this attempt embodies the most famous of them all. Indeed, Chewbacca, known as the inseparable sidekick of Han Solo in Star Wars, pays tribute to the holidays in Chewbacca Sings!. In Chewbacca Sings! you will enjoy an unsurpassed performance of Silent Night by Chewie, worthy of the best seasonal choirs. 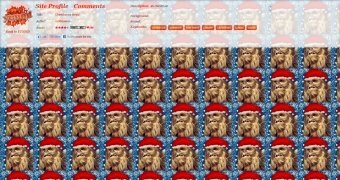 As we turn up our speakers and relax while the Christmas spirit takes control of us, we will also be able to enjoy a carefully crafted mosaic view in which we see our hero wearing a Santa hat. MIDI sounds and a smooth voice. What also could you want for Christmas? There's no Christmas without Chewbacca. Everyone knows that!